Our mission is to bring you therapeutic solutions that are affordable and actually work! Paw Science brings you…..BUCKET SCIENCE!!!! What Does Spa Mean? Therapeutics? The buckets will include everything that you need to do basic therapeutic work, plus an informational booklet on where to get more information, products and videos to watch. Note: We are suggesting that you bring your own dog, and we prefer short coats, or if drop coated a smaller dog due to time constraints of bathing and drying. If you are unable to bring your own dog, just let us know and we can work something out. Registration: Two Day Hands-on Workshop: Early bird registration Now until 7/31/2017 $200.00 for both days. Registration after 8/1/2017 is $235.00. 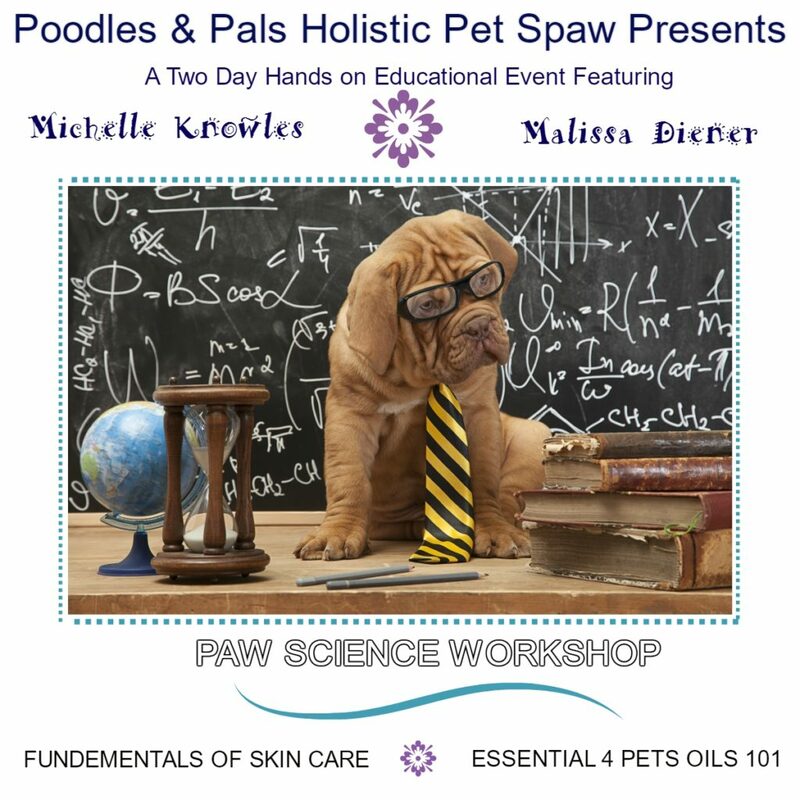 Registration will include mini Paw Science bucket, with enough product to create therapies for both days in P&P salon and both D.I.Y. Essential oil hands on projects.